Being a cannabis business lawyer feels natural to me and was probably inevitable. I have a personal interest in cannabis. I experimented with it recreationally in college and, frankly, continued my “experimentation” off and on into adulthood. In my mid-thirties I was diagnosed with testicular cancer and had to undergo chemotherapy treatments. I did not try cannabis as a medical aid at first. This was due to a misplaced belief that trying it as a medical aid would really be nothing more than using my illness as an excuse to get high. However, on a particularly difficult day when I was feeling miserable, I broke down and smoked marijuana with my brother. The experience was stunning and remarkable. Within fifteen minutes I felt significantly better and had an appetite for the first time in days. My flu- like aches subsided and my nausea disappeared. Certainly, I was not 100 percent better. However, I felt well enough to spend a pleasant evening talking with my brother. I ate two helpings of spicy Indian food and slept well enough to regain some lost energy. Had I not smoked marijuana that evening I would have remained in bed, not eaten, and spent most of the night tossing and turning, nauseated and in agony. My energy levels would have continued their steep decline and I would have been worse off for the next treatment. Cannabis helped me through chemotherapy and I resolved at that time to become an advocate for its legalization. In addition to aiding with side effects of chemotherapy, new research suggests that it may also be important in treatment and even prevention of certain diseases. I also have a long-time interest in business law. Law students do not typically have “majors” (or “minors”) in legal subjects in the same way that undergraduates do. However, a law student can choose to focus on a specific legal area by taking multiple courses in that area. In my case, I took every business law class that was offered in law school. As a philosophy major in college I was intrigued by the strange implications of being able to create a separate legal individual under the law and the tensions that such an arrangement could create between natural entities (i.e., people) and artificial entities (i.e., corporations). (That issue has been playing out in the Supreme Court recently, but in another context.) The metaphysics of the corporate veil and limited liability fascinated me. Later, after starting my own law practice, the practical aspects of running a business— bookkeeping, marketing, taxes, employee management, financing, etc.— captivated me. 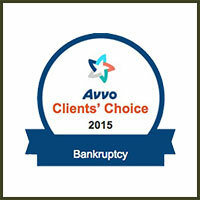 Over the years, my law practice quickly migrated toward bankruptcy law. 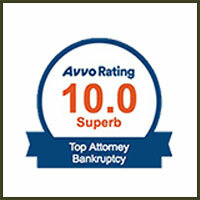 I eventually became a bankruptcy specialist and have represented numerous businesses through difficult reorganizations. 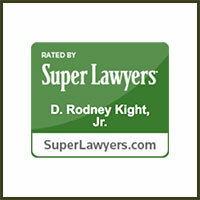 I have also maintained a general business and commercial litigation practice. 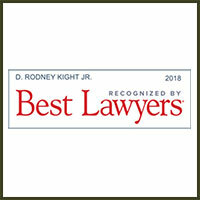 We aim to create and maintain long-term relationships with our clients by being reliable legal advisors, advocates, and confidantes. We strive to provide high quality representation while maintaining a relaxed, friendly, grounded, and approachable style. We are as enthusiastic about your success as you are.